Skyscrapers define the American city. 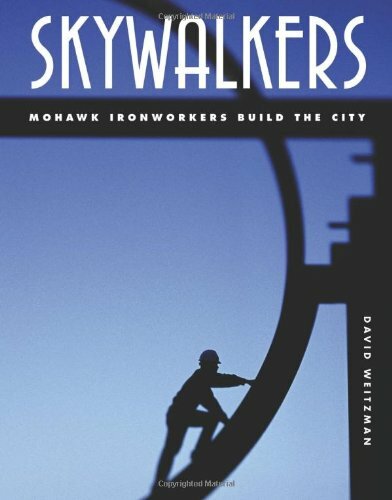 Through a narrative text and gorgeous historical photographs David Weitzman explores Native American history and the evolution of structural engineering and architecture, illuminating the Mohawk ironworkers who risked their lives to build our cities and their lasting impact on our urban landscape. Used Good (3 available) Former Library book. Shows some signs of wear, and may have some markings on the inside. 100% Money Back Guarantee. Shipped to over one million happy customers. Your purchase benefits world literacy!